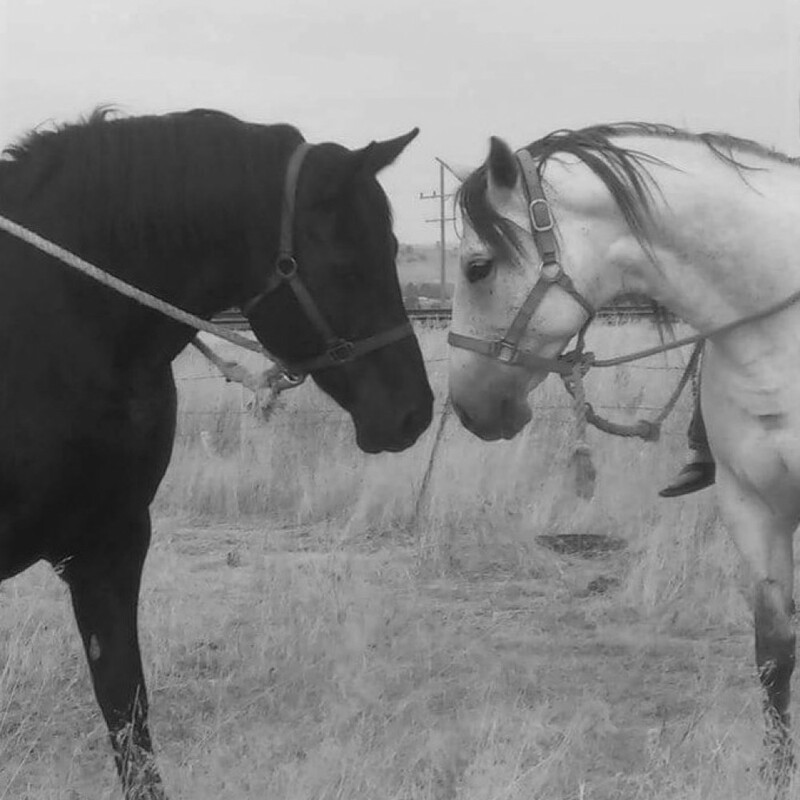 Eclipse (1999 – Black) is a Percheron/Thoroughbred cross mare who was rescued from a PMU ranch when she was only four months old. Despite her humble beginnings, Eclipse is anything but ordinary. Standing at a huge 17.3 hh, Eclipse is a big lady, and she knows it. She’s dignified, stubborn, and brilliant, and is rideable by any skill level. Her hobbies include being bossy and being clingy. Cedar (2005 – Grey) is an Appendix Quarterhorse. Not much is known about her past, but she has a kind, shy disposition and loves to be pampered. Cedar is exceptionally well educated and is fun and easy to ride for most skill levels of rider. Her hobbies include begging people to put a halter on her when they’re trying to catch a different horse, eating anything (including foreign objects) except apples, and talking trash to other horses then hiding behind Eclipse for protection.